You won’t find a more vibrant swimsuit than the Michael Phelps Kiraly Racing Back Women’s One Piece. You can ride a wave of colour in this sea foam-inspired look from our favourite swimming legend. 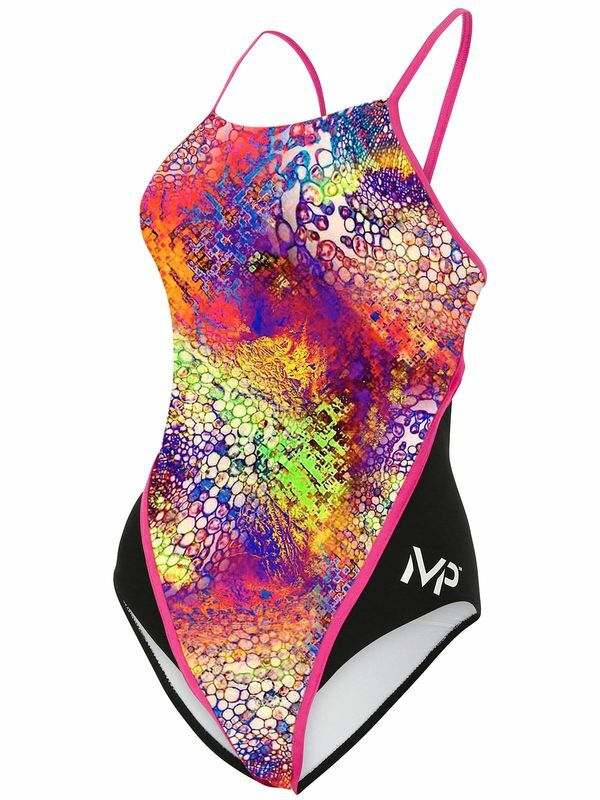 This stunning one piece features a rich sea foam pattern in bold shades of a ruby, tangerine, lemon, electric lime, violet, and indigo, along with bold black hip accents and a daisy white MP logo. Of course, like every one-piece swimsuit in the MP Training Suit line, the Michael Phelps Kiraly Racing Back Women’s One Piece was created by Michael Phelps and Coach Bob Bowman to meet the needs of the world’s greatest female athletes by offering unmatched durability and fit, along with bright prints and chic looks.